4th grade art! | It's time to go to MARS and do so as FRIENDS! 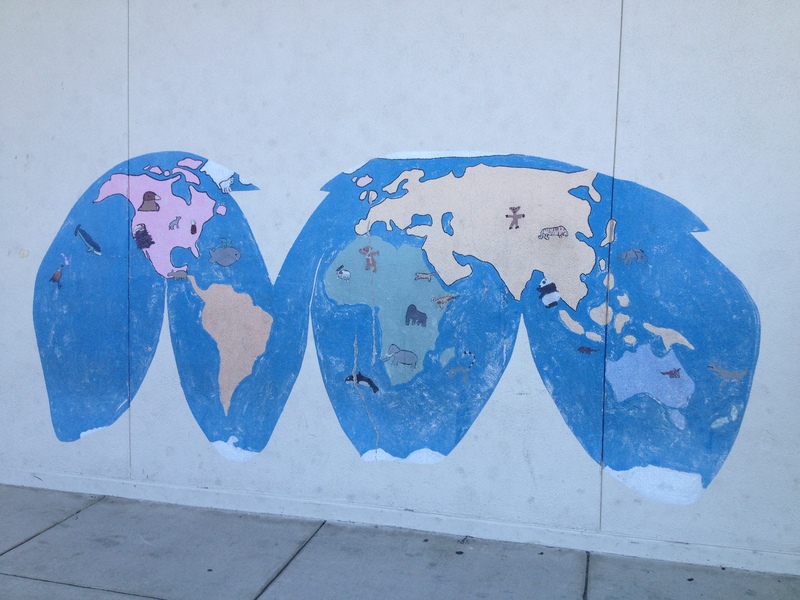 The teachers painted the world map on the side of the cafeteria, and all the kids had to do was paint their cute animals on the map! We painted this back in spring of 1996. I currently live down the street from my old elementary school, so when I recently paid a visit to the adjacent park, I was surprised to see that this mural was still there! I hope that this mural will still be around for some time to come to inspire all the current and future kiddies at this quaint little school. This entry was posted in Art Atrium by the transient. Bookmark the permalink. 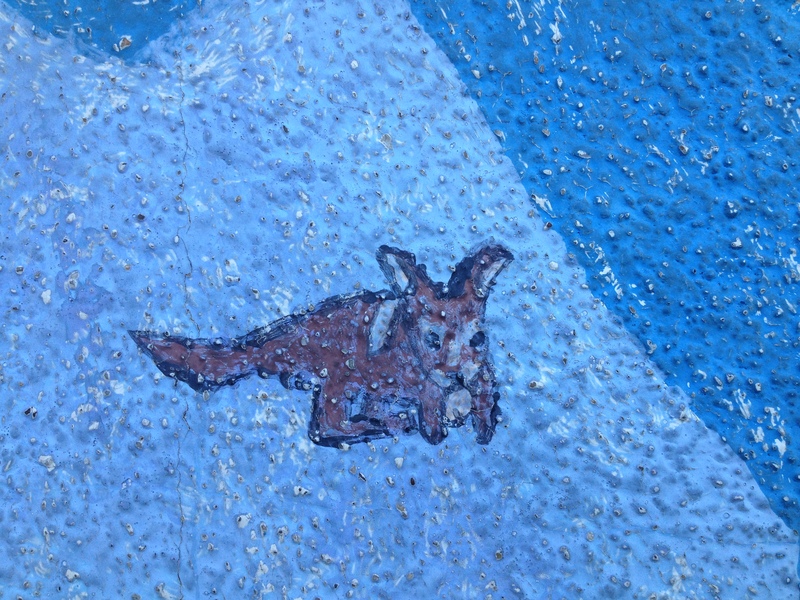 I painted on my elementary school’s mural too! It’s in LA though! Man! All I got to do in fourth grade was do a report on one the California Missions. It’s probably for the better, though. If I painted something on a mural they probably would have covered it up by now. What is that? A kangaroo? Yay! Glad we got to see it in person!